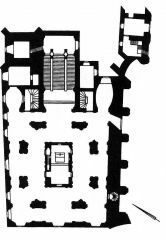 During the Baroque-period reconstruction of the medieval monastery, rebuilt in the 16th century, the Loreto Chapel was added and the frontages were unified. The church was provided with a new roof. The vast monastery complex adjoined the town walls. A three-axis, concave frontage features statues of the patron saints of the church, St. John the Baptist and St. John the Evangelist (by J. K. Pröbstl and J. J. Schauberger), the Madonna and, over the ledge, St. Francis of Assisi and St. Anthony of Padua. 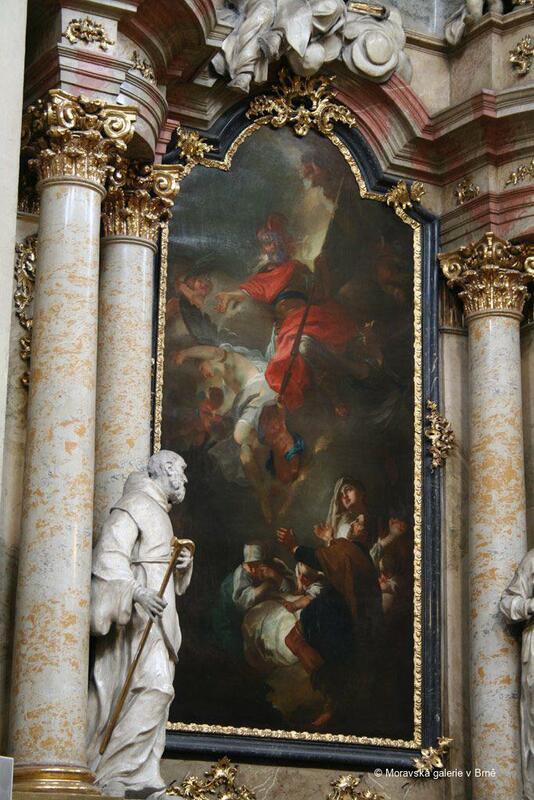 The statues of St. Thaddeus Jude and St. Dismas are by J. L. Weber. The high altar of the single-nave church is the re-modelled mausoleum of Jan Šembera of Boskovice and Bucovice, who is buried here and whose death marked the end of the male line of a famous Moravian family. 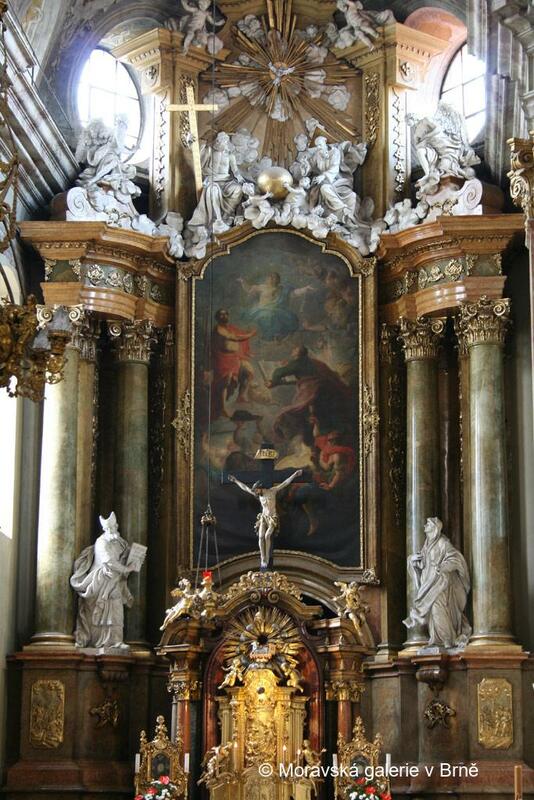 The altarpieces are by artists from the Vienna Academy: J. Stern, who settled in Brno, and F. I. Leicher (c. 1760). The uniformly furnished interior is complemented by an original organ (1732). 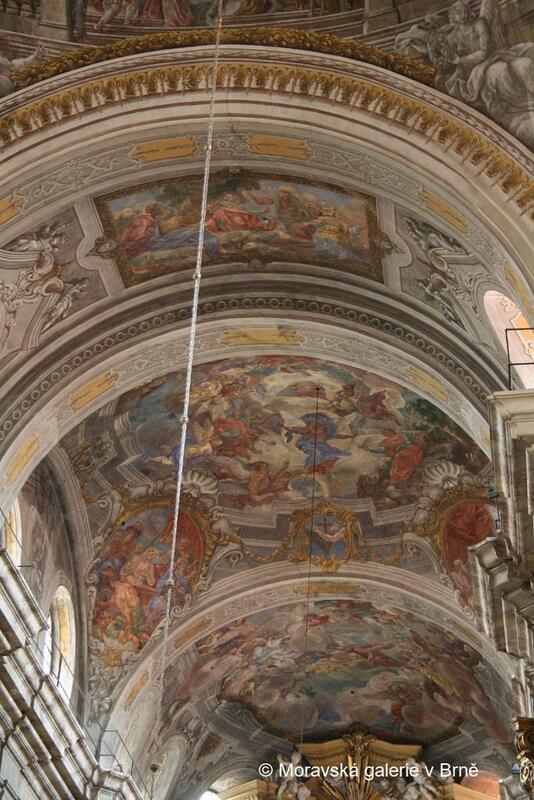 The vault of this single-nave building opens onto a celestial sphere with a monumental fresco. 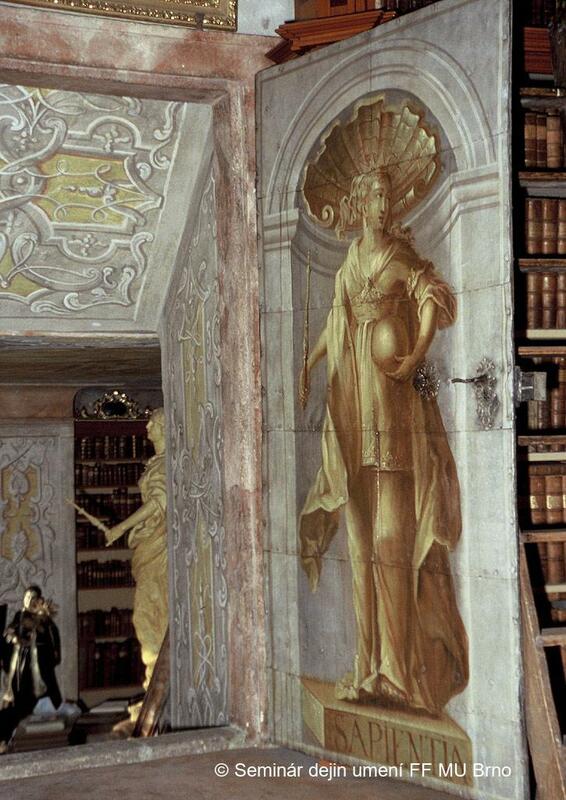 The illusionary architecture graduates into genuine pilasters and stucco decoration. The altarpieces, by artists from the Vienna Academy, provided for the people of Brno their first encounter with a new painting style that drew on Dutch and Flemish art of the 17th century. 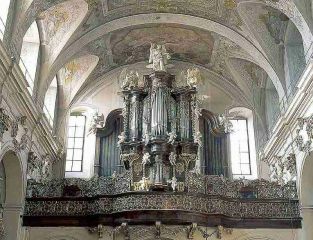 The uniformly furnished interior is complemented by an original organ (1732). The monastery library is among the best preserved in the Czech lands. 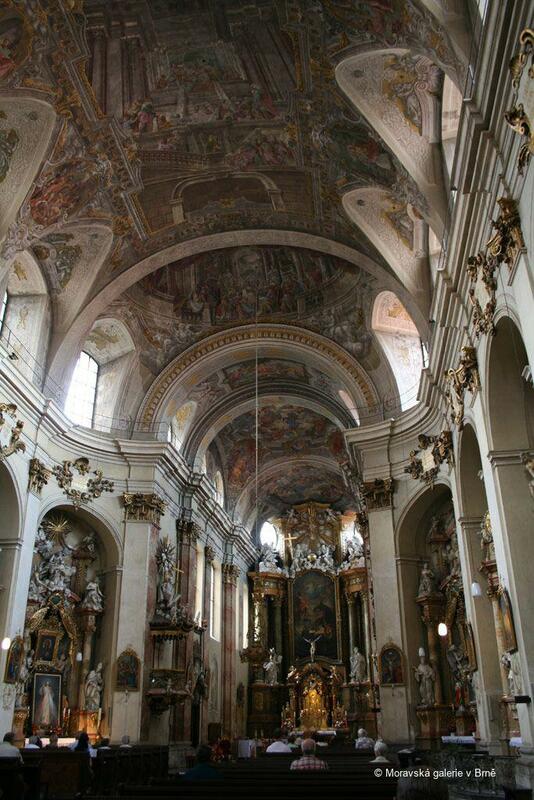 The church highlights include the mystical Loreto Chapel with its Holy Stairs. 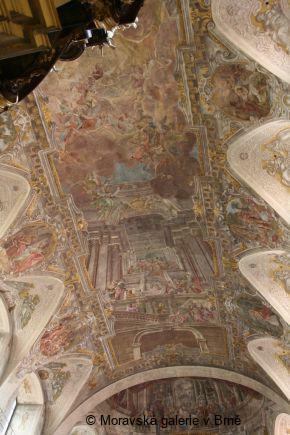 The ceiling painting in the church nave is dated 1733 in a chronogram. 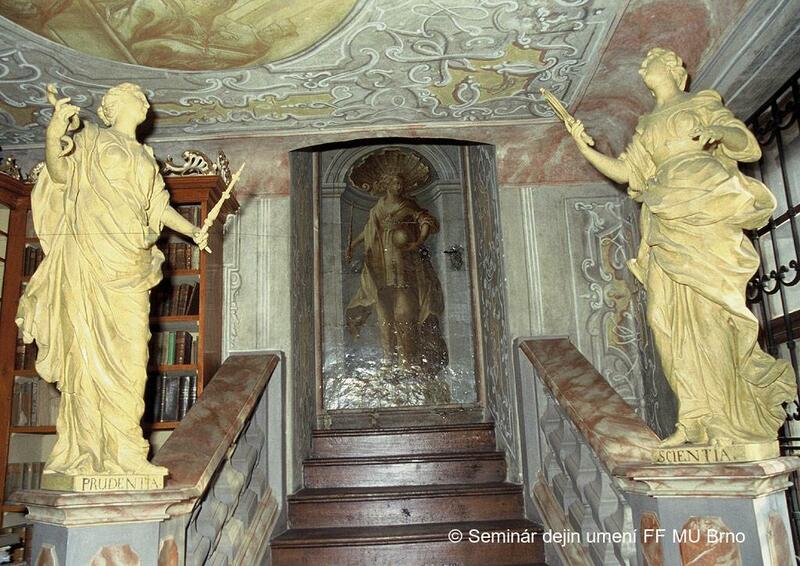 The chapel fresco is dated 1725 in a cartouche, and this is supported by evidence in the accounts. The chapel was consecrated in 1726; receipts have also survived for building work in the library. The vault of the single-nave building opens onto a celestial sphere with a monumental fresco and scenes from the lives of the Saints John and Loreto. 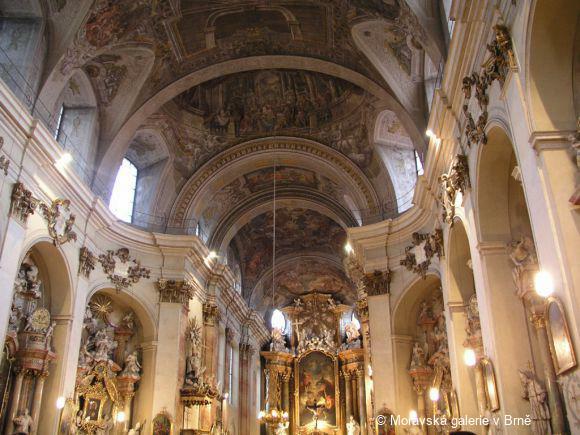 The illusionary architecture graduates into genuine pilasters and stucco decoration. The main section depicts the Birth of St. John the Baptist, while the presbytery vault, separated by a “triumphal arch”, features the signs in the sky described in the Revelation of St. John. 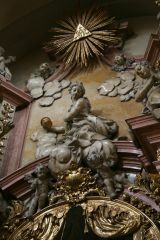 The stucco decoration of the altars and the pulpit was created by a prominent Brno artist, previously active in Olomouc. The way in which the artist approaches the spiritual movement of the figures, the non-dramatic gestures, the soft relief shapes and the spatial concept of the sculpture, enhance the effect of an epic scene. 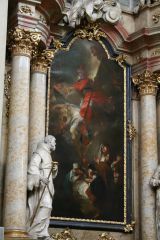 The sculptor’s oeuvre includes many altarpieces in Brno and its surroundings, typified by a spectacular form derived from Italian (Bernini) and Viennese (Donner) sculpture. 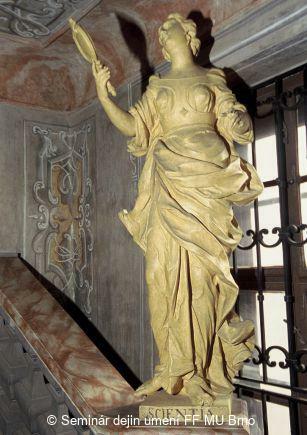 The artist’s stucco work was particularly influenced by B. Fontana. Reliefs in gilded copper represent St. John the Baptist, St. John the Evangelist, St. Francis of Assisi, and others. 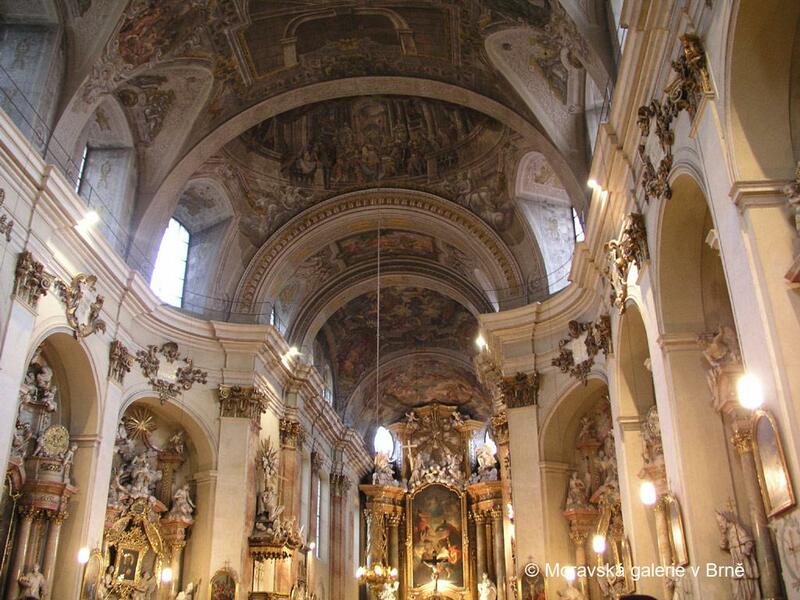 The lamp’s summit consists of the Holy Trinity and the Virgin Immaculata, patron saint of the Minorites. 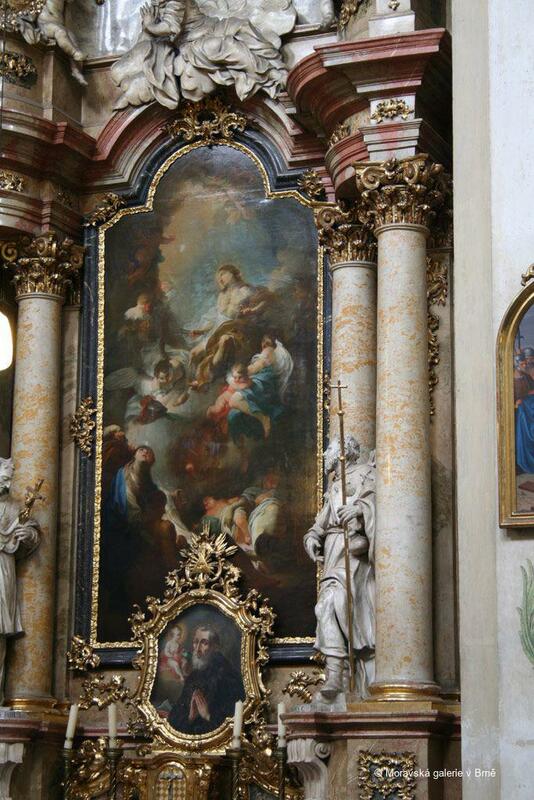 The eternal light is usually hung in front of the high altar as a symbol of the Lord’s presence. 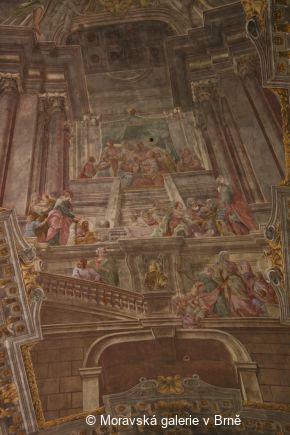 The entrance to the library, with a ceiling-painting of the 12-year-old Jesus in the temple disputing with the elders (the first example of Jesus’ preaching), opens with Prudence and Knowledge; Wisdom is painted on the door. 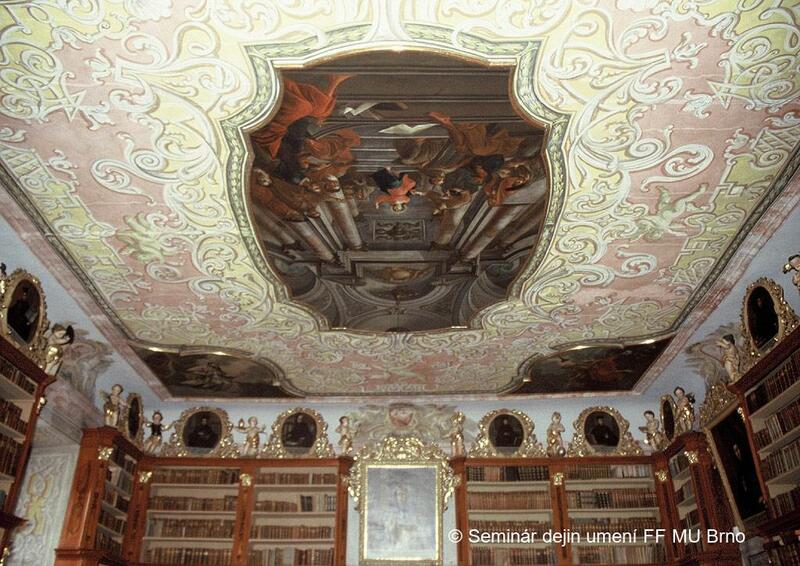 The library, with its well-preserved furniture, is among the most significant Baroque libraries in Czech lands. 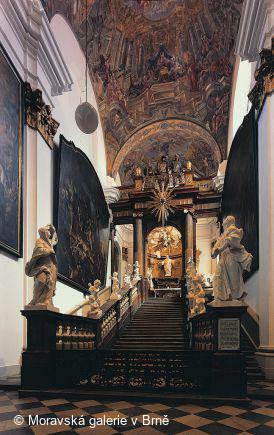 A three-shouldered staircase is the conceptual climax of the Loreto Chapel. 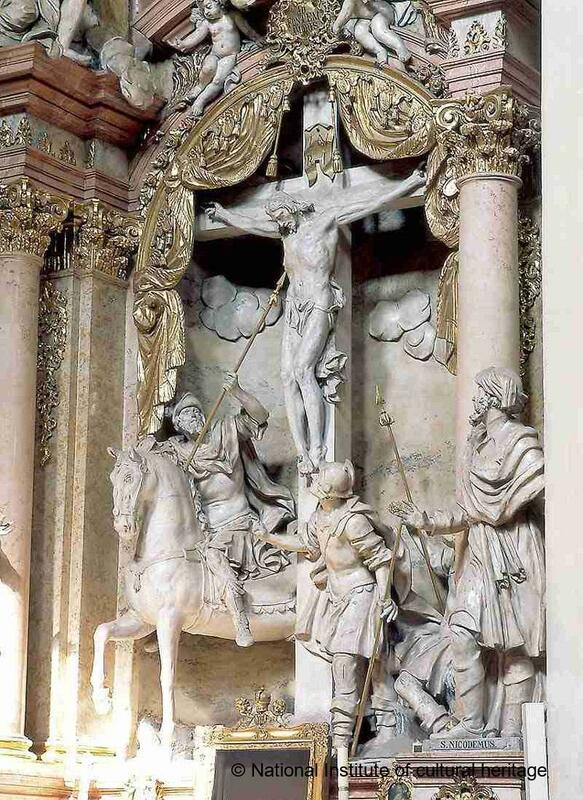 Praying on their knees, worshippers ascend to an Ecce Homo group, stopping at the symbols of Christ’s suffering. 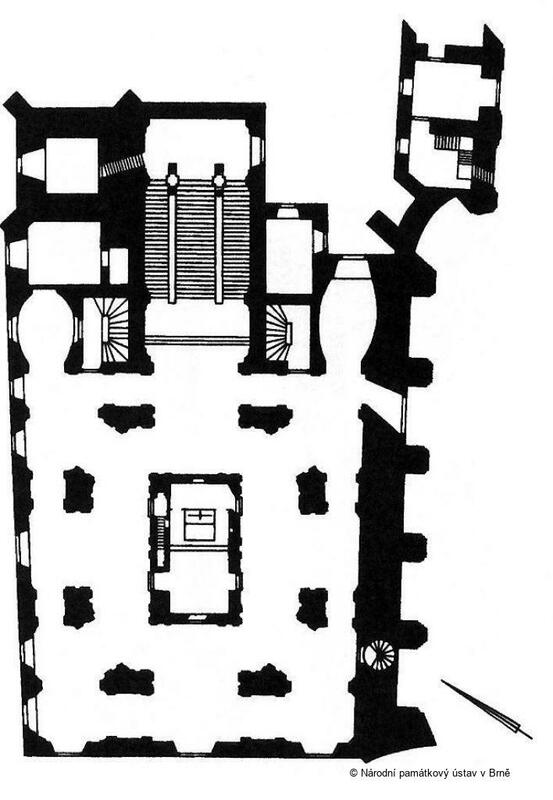 The 28 steps recall the stairs climbed by Christ in the Palace of Jerusalem after his condemnation by Pontius Pilate. 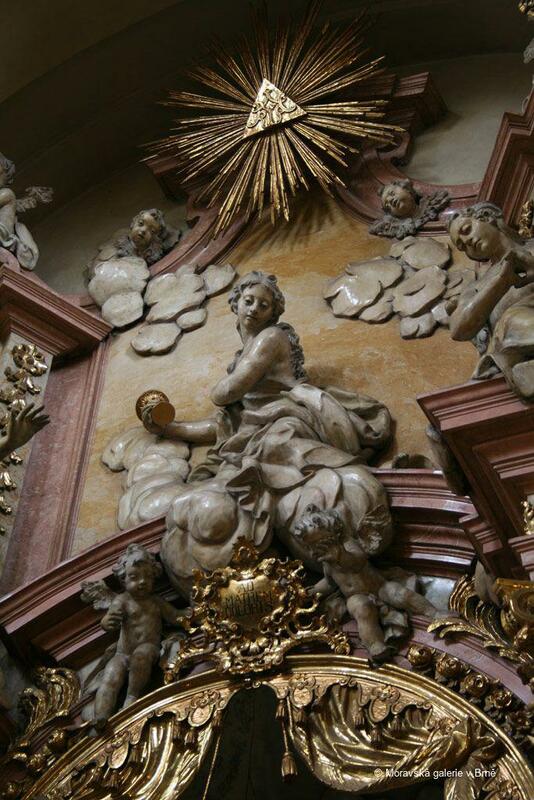 The entrance portal of the Loreto stable is guarded by a pair of angels, and a relief of the Transfer of Santa Casa (Holy House) with the Virgin Mary at the centre, surrounded by the patron saints of the church. The vaults of the gallery around the Holy House and above the stairs, placed in front of the presbytery, were painted by F. Ř. I. Eckstein, and feature scenes from the Life of the Virgin Mary. 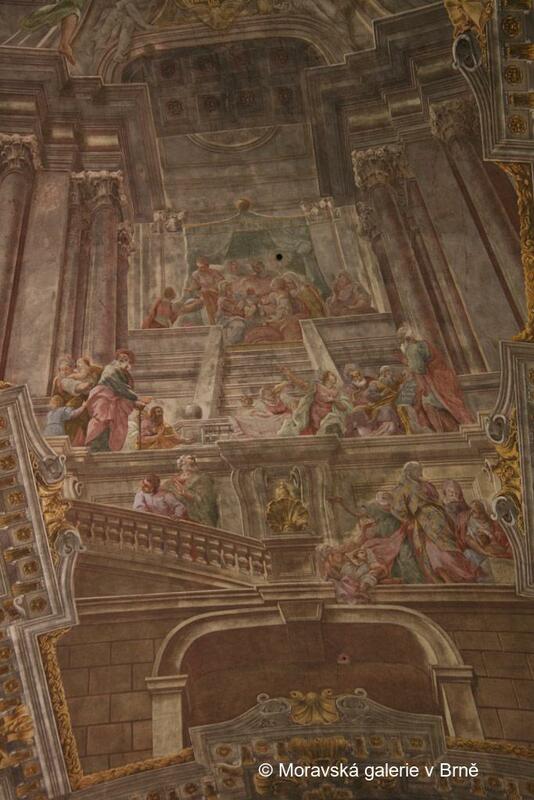 They are framed by illusionary architecture graduating into grisaille paintings, also covering the Holy House. 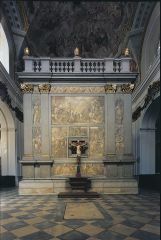 The chapel contains a number of pictures by Brno artists, among whom, J. I. Havelka, who created a great number of paintings for the Minorite order and probably lived in the monastery. Bohumil Samek, Umělecké památky Moravy a Slezska I, A-J, Prague, 1994, pp. 175–183. Jan Bukovský, Loretánské kaple v Čechách a na Moravě, Prague, 2000, pp. 97–102. Michaela Šeferisová Loudová, Barockbibliotheken in Mähren, in Martin Mádl – Michaela Šeferisová Loudová – Zora Wörgötter (eds), Baroque ceiling painting in Central Europe/ Barocke Deckenmalaerei in Mitteleuropa, Prague, 2007, pp. 59–60. Copyright images "Národní památkový ústav v Brně": Národní památkový ústav – územní odborné pracoviště v Brně.